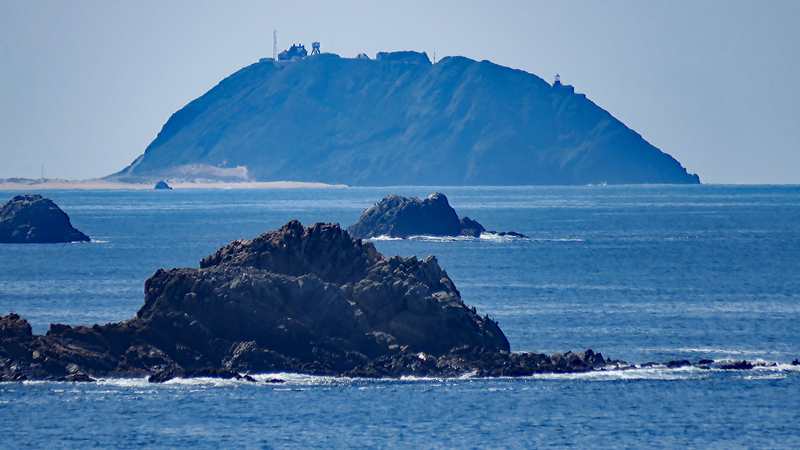 Yesterday, the weather was so fine that I could snap the above photo of Point Sur, which was 15 miles away. The sea was so smooth that the only whitecaps were the waves crashing on shore. If the weather was always like this then there would be no reason to build the Point Sur lighthouse. Today, the Pacific Ocean has turned a firehose on California. And they say it never rains in California. I’ve heard this talk before, but girl, let me warn ya. It pours, man, it pours. Parts of the state are forecasted to get their annual rainfall amount in this storm. It rained all day in Monterey, but further south the rain is expected to be way more intense. I’m glad that we were able to drive down to Nepenthe in Big Sur last weekend, we may not be able to do so again soon, because of mudslides. The hills are already much greener than when we arrived. They should be positively verdant by the time we leave. In a trip down memory lane is pictured below Mom and me. We are probably about halfway up the seamount that tips Point Sur. It was ’97 then and we were on a tour. The light station had only then recently reopened for tourist and still had major restoration issues to contend with. This lighthouse’s most famous wreck was not a sailing ship, but the airship Macon. The only loss of live was one African-American sailor who swam back to the wreck one too many times. On the southern side of this mount are the remains of a Cold War SONUS post. In its heyday, my paternal grandfather worked there as an engineer. Today, it looks pretty dilapidated, but it is still government property. Maybe, they are still torturing the whales, but now only remotely. This entry was posted in California, Central Coast, Photography by RegenAxe. Bookmark the permalink. I lived in Monterey for three years. Most beautiful place I have seen. Big Sur, God’s country. Thank you for the photos and the words. 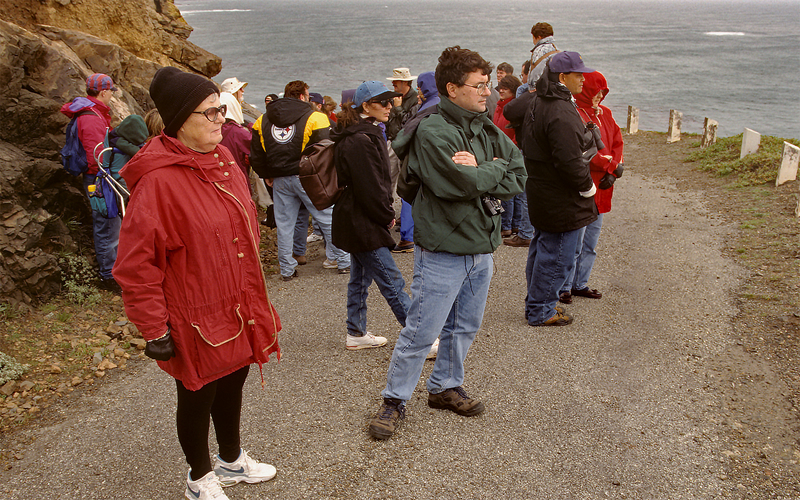 I will re-visit Big Sur in late May. Thank you, John. It should still be pretty green then, after all the rain that we received. I can’t wait. I left Monterey in 1994. I was deployed to Fort Hood, Texas. I read poetry in Pacific Grove and Monterey for three years. Check road closures on CA 1. It is still closed at Gorda. Last year, we had to hike a mile and 1000′ up to dine at Nepenthe.